“National Kidney Month”: For info see www.kidney.ca. “National Liver Health Month”: See www.liver.ca. “Youth Science Festival Month”: For info see www.youthscience.ca. Mar 6-12“Celebrate Your Name Week”: Your name identifies you to the world. Make sure it isn’t an ignored part of your personhood. A different name-related theme each day at celebrateyournameweek@gmail.com. For info contact Jerry Hill by email. www.namesuniverse.com. Mar 8 “Organize Your Home Office Day”: Find files, purge papers and tackle to-do lists. Call Lisa Kanarek, HomeOfficeLife.com, 214-361-0556, email lisa@homeofficelife.com. See www.homeofficelife.com. Mar 13 “Check Your Batteries Day”: Check the batteries in your smoke detector, carbon monoxide detector, HVAC thermostat, audio/visual remote controls and other electronic devices. Annually, the 2nd Sunday in March. Mar 13 “Daylight Saving Time Begins”: From 2am on the second Sunday in March until 2am on the first Sunday in November. Mar 15 “Ides of March”: This was the day that Julius Caesar was assassinated in 44 BC. In the Roman calendar the days of the month were not numbered sequentially. Instead, each month had three division days [Kalends, Nones and Ides]. Days were numbered from these divisions [IV for Nones and III for Ides]. The Ides occurred on the 15th of the month [or the 13th in the months that had less than 31 days]. Mar 19 “Earth Hour”: Communities, businesses and governments around the world are invited to switch off lights for one hour at 8:30pm local time. See www.earthhour.org. Mar 21 “World Down Syndrome Day”: see www.worlddownsyndromeday.org. Mar 27 “Easter Sunday”: The most joyous festival of the Christian year, commemorating the resurrection of Christ. Mar 27 “World Theatre Day”: For info go to www.world-theatre-day.org. Martin Sklar worked at Walt Disney Imagineering, which was the company that designed, tested and rolled out all the innovations at the various Disney theme parks around the world. Marty had a media background and was attending UCLA and was running the university newspaper. In July 1955, the student editor was recruited to create an 1890-themed tabloid newspaper, The Disneyland News, which sold on Main Street during the park’s debut year. 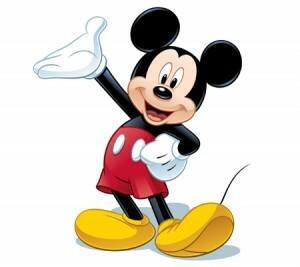 After completing his education, Marty returned to Disneyland publicity and marketing. If you ever get a chance to read his autobiography, titled Dream It! Do It! : My Half-Century Creating Disney’s Magic Kingdoms, I encourage you to do so, because it is a great read and there are some valuable tips on marketing and branding that could help any business. Perhaps the best thing Marty ever did was develop what he called Mickey’s 10 Commandments and it hung on office doors and walls of every Imagineer’s office. Over time they grew in size to number 40 commandments as they were added to by other Imagineers. Here, then, are Marty’s 10 commandments. I think his commandments apply to our business more today than ever before. Wear your guest’s shoes. Insist that designers, staff and your board members experience your facility as visitors as often as possible. Something else Walt also insisted on was that his Imagineering attend park rides and stand in queues every two weeks so they never lose sight or feel of what the guest sees. By the way every Corporate Manager of McDonalds is required to spend a week per year serving customers at the counter. Something they learned from Disney, I am told. Organize the flow of people and ideas. Use good storytelling techniques; tell good stories, not lectures; lay out your exhibit with a clear logic. Create a “weenie.” Lead visitors from one area to another by creating visual magnets and giving visitors rewards for making the journey. Okay, so by now most of you are saying “what’s this weenie thing?” Well the story is that when Walt Disney was young and went to the circus, the zoo, or an amusement park the first thing he looked for was the wiener cart, so he could have a “wienie.” It was his magnet. Do you know what Disneyland’s weenie is? Sleeping Beauty’s Castle! I know it’s not a hot dog cart but it is undeniably a visual magnet for the guests entering the park. It draws you in. Communicate with visual literacy. Make good use of all the non-verbal ways of communication — color, shape, form, texture. Avoid the temptation to overload your audience with everything you’ve learned. Also, check your website and social media feeds to ensure they reflect your brand. Avoid overload. Resist the temptation to tell too much, to have too many objects; don’t force people to swallow more than they can digest; try to stimulate and provide guidance to those who want more. Listen carefully to your radio station and check to ensure that you clearly communicate your key listener benefits in a consistent manner across all day parts. Tell one story at a time. If you have a lot of information, divide it into distinct, logical, organized stories. People can absorb and retain information more clearly if the path to the next concept is clear and logical. Story telling is becoming a lost art on many radio stations. Encourage your PD to coach your staff on how to tell great stories on the air and on line, and if they don’t know how to do that, bring someone in who can help. For every ounce of treatment, provide a lot of fun. How do you woo people from all other temptations? Give people plenty of opportunity to enjoy themselves by emphasizing ways that let people participate in the experience and by making your environment rich and appealing to all senses. Radio is a fun business to be in, but all too often we forget that. This is show business after all. Make the effort to have fun on the air and in the hall ways. I know of one GM who cooks lunch on a BBQ at the station every Friday in summer for the staff. Keep it up. Never underestimate the importance of cleanliness and routine maintenance. People expect to get a good show every time, and people will comment more on broken and dirty stuff. Does your station sound as good as it could be technically? Is the product consistent through all dayparts and do you present the right image when you are on the streets or in front of clients? If you would like to see the other 30 suggestions that were developed by other people at Disney send me an email, and I’ll be happy to share them with you.